The truth is that I can not complain because I had a lot of work. But I'm not so lucky; I've also noticed the global crisis like everyone else. I am trying not to let this crisis affect me too much... trying to get ahead of long periods without work... seeking alternatives as a Character Designer or lately, working as a Teacher of Storyboards and Illustration at the IED (European Institute of Design). 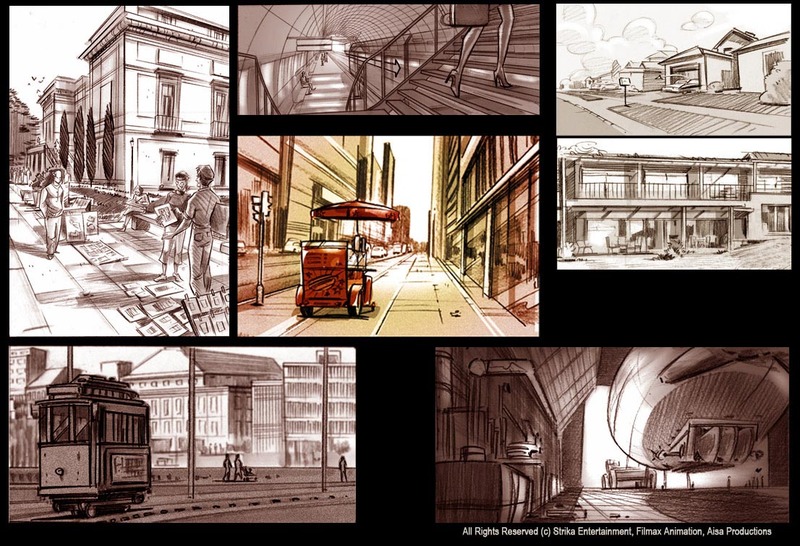 After a period doing storyboards for movies on Filmax Studios and just before reaching the big crisis, I started to work for clients in foreign countries from home. Some studios allow it, so today its possible to make storyboards from your own studio and maintain a fluent communication with the director via email, phone or skype. So when the problems started in the Spanish companies, I was lucky to be already working for South Africa, Italy and USA. Especially for an Italian studio that I've been involved with for the last 2 years storyboarding for some of its TV series. 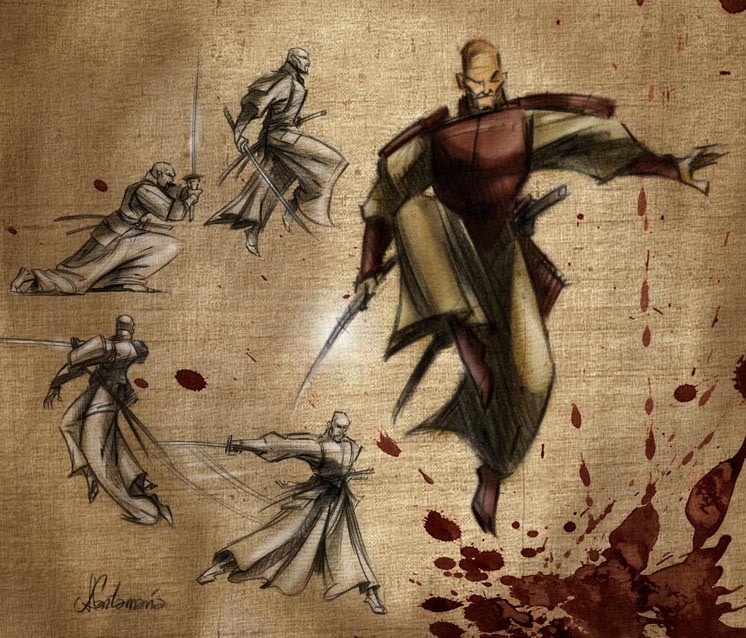 However I kept in contact with a studio of my country and I am now also developing sequences for a new 3D film called "Goleor, The Scales and the Sword" which will be released in 2012 and is still in pre-production (but very advanced). What I have tried to do during these tough times is to open my range of job opportunities, not only focusing on the creation of storyboards. 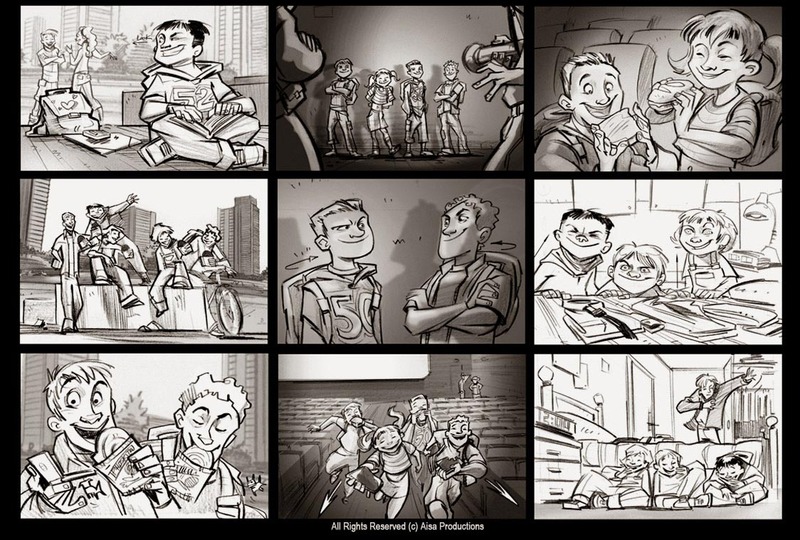 That is, one of the things we are asked to do as storyboard artists is to create many different situations, be able to sketch a variety of characters in different positions and views, create backgrounds or draw them from any perspective. In short, having the ability or skills to handle many facets of the drawing. 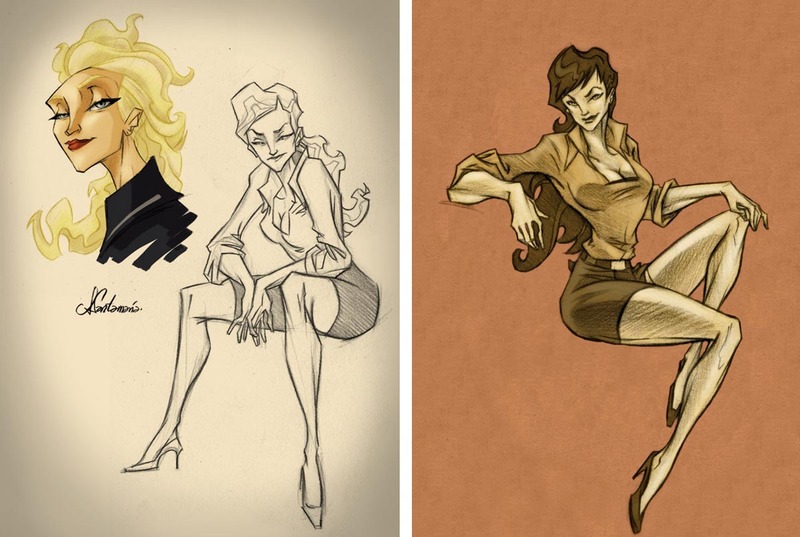 This means that if you have some definite style, you can assume other roles within the field of animation, such as the creation and character design. 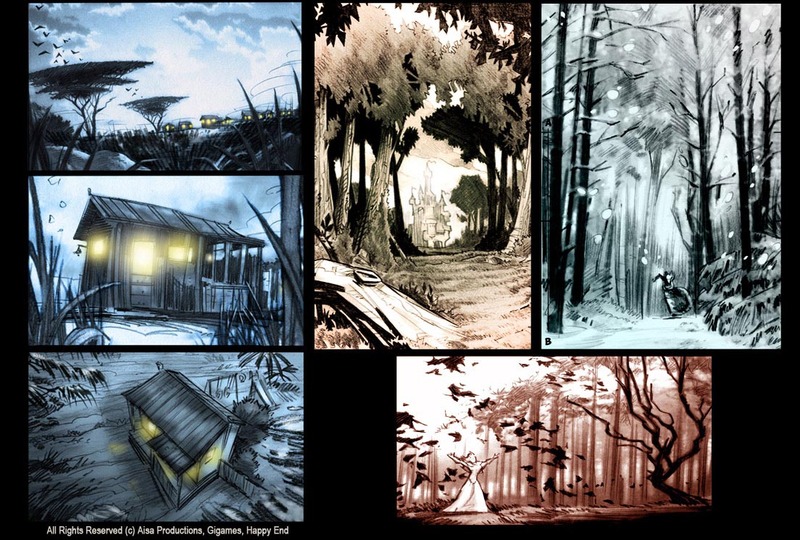 This is another of my tags as an artist and I have been lucky to be able to develop, over the last 3 years, the stages in which I had no storyboard work. Anyway, with our type of work we can hit a lot of different doors. 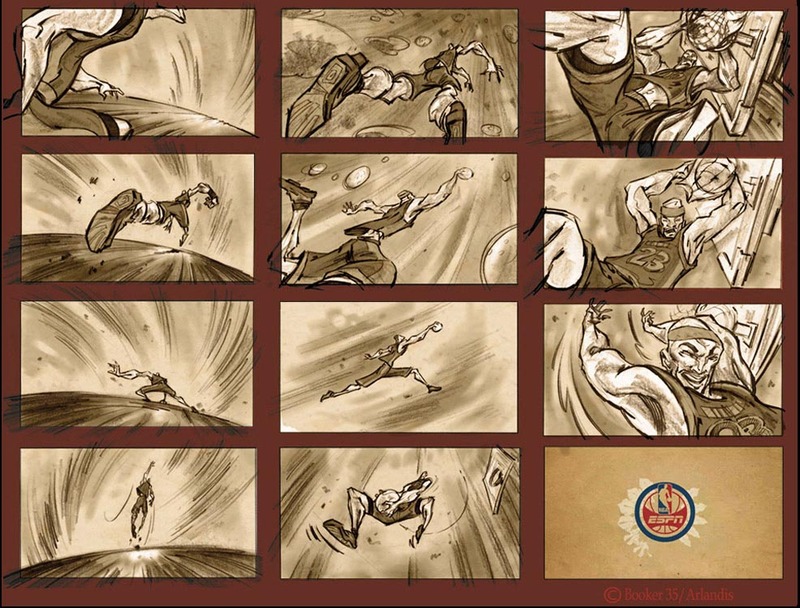 It is known that there are considerable differences between a storyboard animation and one of a real image film, or between one from a video game and another for advertising. Here we can diversify our search of work. 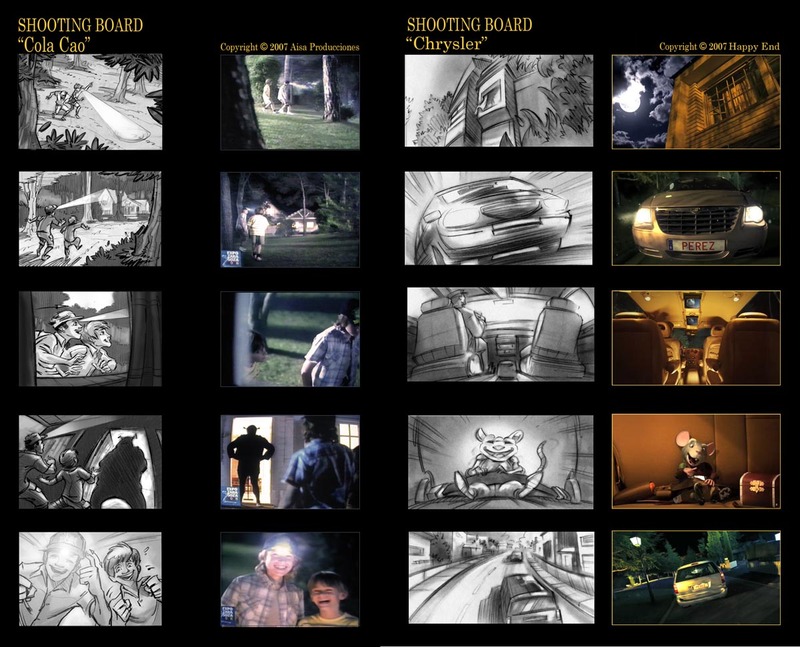 When I didn't have a job in animation I've accepted shooting boards jobs for commercials and even some for real image. The fact is that through our work we are able to belong to different sectors within the field of visual communication. We can work for television, advertising, film, animation .... and that's an advantage. There is a sector that is gaining great importance lately and over time is getting closer to a super great film and that's the video game sector. 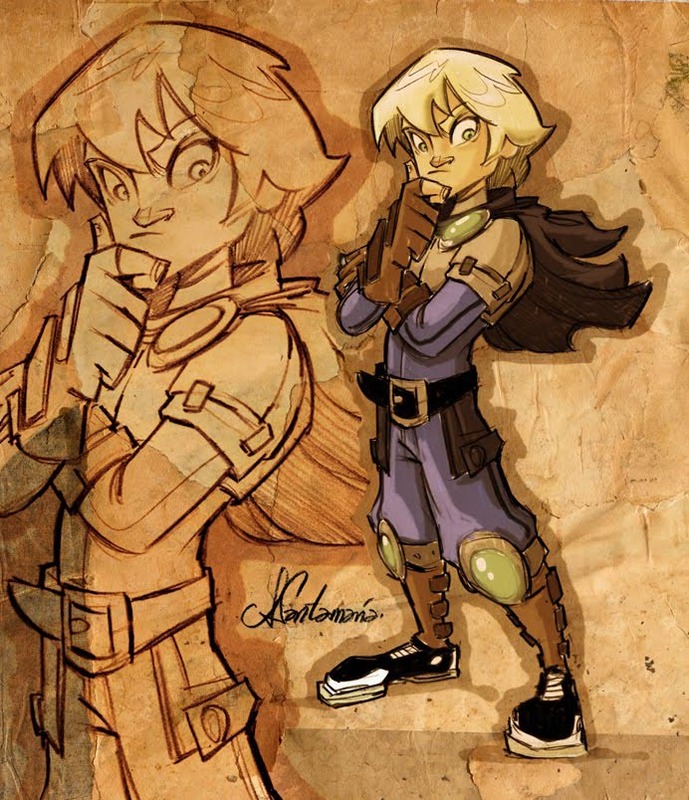 I think that it could be another option for storyboard artists, not only for the development of any animated sequence in the game, but also as creators of concepts during the pre-production stage. Its also interesting that the very success of a video game is leading production companies to want to "convert" the game to a film project... and that creates more opportunities for work for us. I just want that this crisis to pass quickly and we can get a little peace of mind knowing that after a project will come another one and, although we have to adapt to changing times, the companies and studios always take into account the important role that our profession has in the quality and the success of any production. Em sento ridícul fent el paper de anglossaxó "cool" però el bilingüisme aquí és indispensable doncs per aqui passa moltiiiiiiiiissssima gent!!!!! Toni, you're greater than great. Many Many THANKS for this post!!!! I'm very grateful with you words and for the fine selection the images. I have chance to see your work and it is extremely amazing so I repeat, thanks a lot and congratulations for your great job in order to improve our profession as storyboard artists. See you! Ernest, Jordi.... em feu posarme vermell !!! Si he pogut fer d'aquesta feina la meva professió és en part gràcies a vosaltres. Vaig apendre molt a la meva etapa a Cromosoma, sobretot mirant com treballavau en qualitat però també en quantitat. Sou una barreja de talent, honestitat, disciplina i professionalitat. Trets indispensables per a poder menjar-te stories de 300 planos en tres setmanes, per exemple. Tots dos sóu un exemple a seguir i jo... m'hi fixo. Thanks a lot my friends !!!! Just when you think you have seen all the great story board artists....along comes another 'gun'! Great work Antonio...thank you for sharing with us.